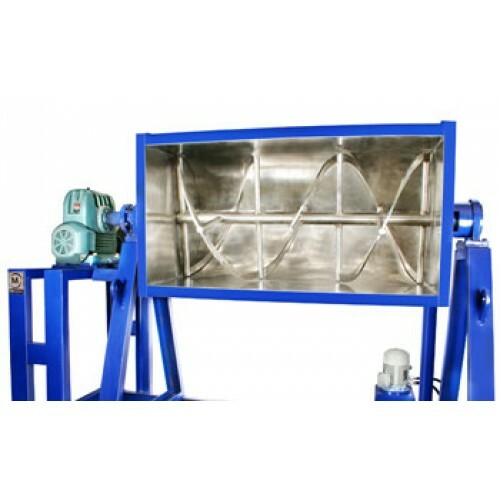 Ribbon Blender comprises of a U-shaped horizontal trough and a specially designed Double Helical Ribbon Agitator rotating within. 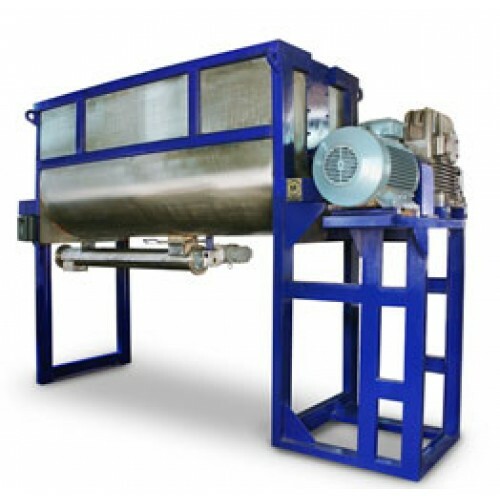 Nauta mixers are widely used for mixing dry materials, paste, cream and lotions. 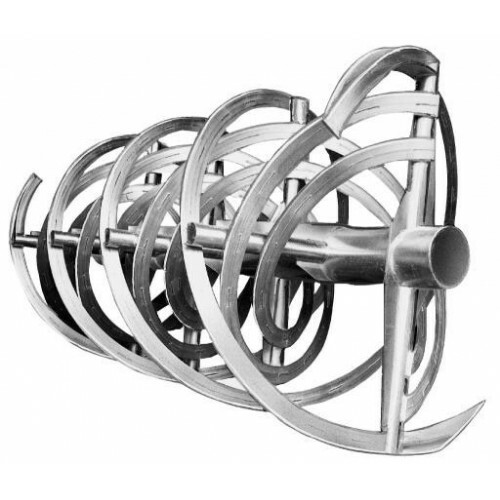 The principle of blending is based on the differential travel speeds of product particles in the conical section of the vessel. The material from the bottom section of vessel is lifted by the screw and spread over the upper sections. 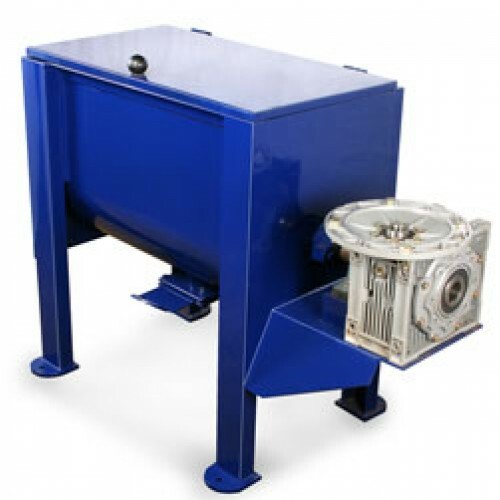 Ribbon Blenders are based on a proven agitator construction that provides a triple mixing action ensuring fast, efficient blending. The dimensions and configuration of the ribbons are carefully balanced to provide a movement of material within the container that avoids dead spots and gives rapid product discharge. 1. 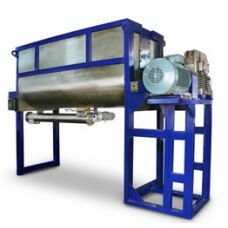 As the agitator rotates, the material is tumbled and carried radially around the inside of the blender. 2. The pitch of the outer ribbon moves the material toward the discharge opening.